Ossibuchi con il risotto. From Milan. Veal has gone out of fashion in the UK at the moment. It never did in the Italy because they don’t use the “crate” method. Italians are more practical when it comes to food. 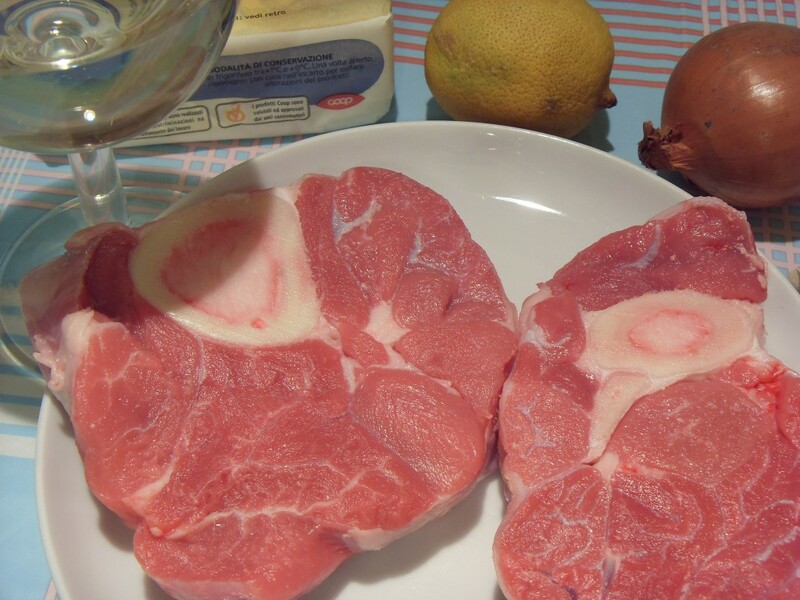 The aversion to “white” veal has nothing to do with ethics, it doesn’t taste as nice. 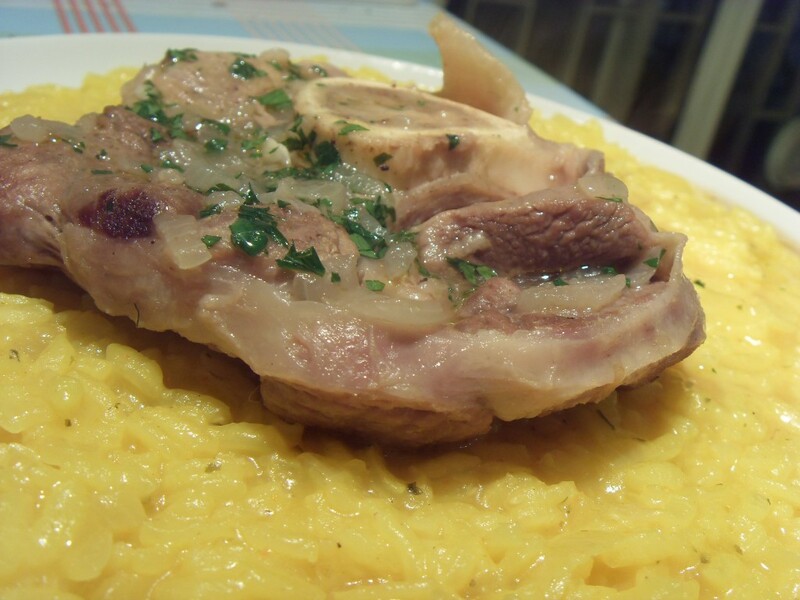 This is one of the most famous Italian veal dishes. In my opinion the best bit of the dish is the marrow, which I always save until the end. Serves 4. Fry the onion (and the celery if used) and the whole garlic clove, over a low heat, for a few minutes in the butter until softened. Remove the garlic before serving( if you want a stronger garlic flavour, chop the clove and fry it along with the onion). Lightly flour the veal slices and add them to the onions. Fry them on both sides until they are lightly browned. Be careful not to disturb the marrow in the centre of the bone. Turn up the heat and add the glass of wine. Let it almost completely evaporate. Add a ladle of hot stock, reduce the heat to low, cover and cook for 35-40 minutes until tender. Cook the risotto using the usual method, adding the saffron along with the last ladle of stock. When the veal is cooked add the chopped lemon zest, half a clove of chopped garlic(optional) and chopped parsley (gremolata) and serve on top of the risotto.